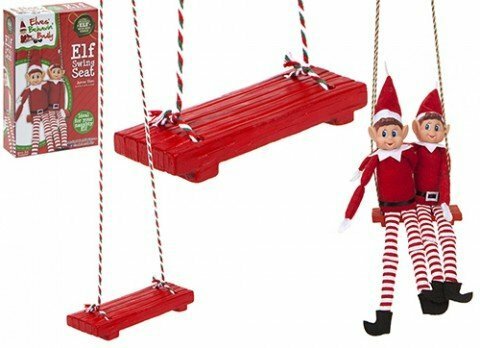 25 Ways to Add Disability to your Elf on the Shelf. Home » Holiday fun for everyone! 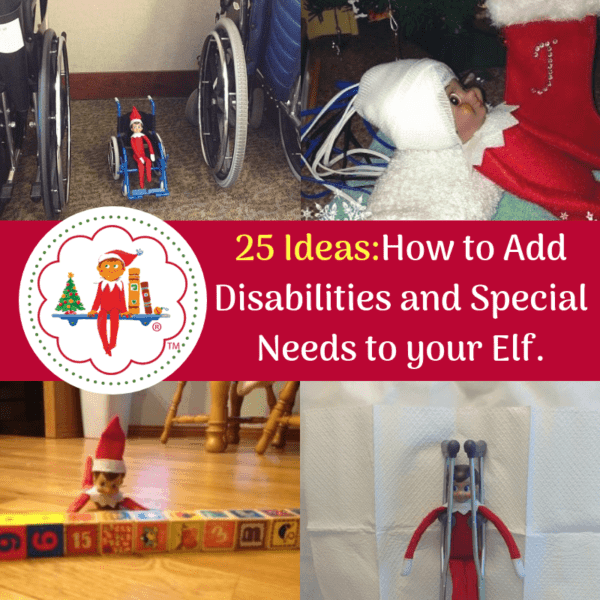 » 25 Ways to Add Disability to your Elf on the Shelf. How to add Disabilities and Special Needs to your Elf on the Shelf. I’ll admit, when Elf first came out, I loved him. Then I hated him. Well, not him, but I hated how competitive it was on social media. Seemed like every mom was trying to outdo all her friends with crazy Elf ideas. Then what bothered me was the adult stuff. I’m no prude (which means I guess I am) but to me, Elf snorting cocaine or watching Barbie naked on a pole is just too much. Let kids be kids. As it is, they lose their innocence too quickly. But, this year, since it will likely be our last year doing Elf, I wanted to find Elf on the Shelf ideas with special needs and disabilities. I want our Elf to sometimes look like our household. Once I started digging into this and looking for Elf ideas with disabilities, I found that you can really get carried away. I kind of wish I had done this a few years ago. I’ve also included some cost-cutting measures for your Elf. *Please note, I found most of these pictures on Pinterest and they had nothing attached to them. If they are your photos, please email me and I will happily link back to your original post. Let’s start with an Elf on the Shelf who has autism. No big deal, right? 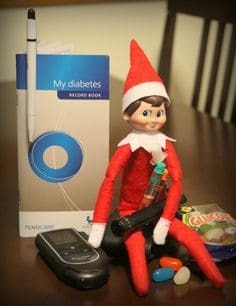 2% of the population has it, so why not your Elf? 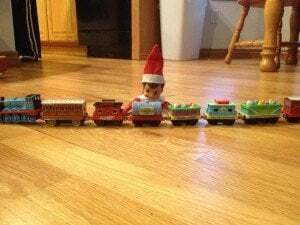 Here is an Elf who likes to line up things. He lines up train cars too. I mean, who doesn’t? And these are both pretty easy to do and you likely already have the stuff at home. How about a weighted blanket? You know what–go to Dollar Tree and get an oven pad or holder. And voila! Instant weighted blanket. How about a swing for vestibular input? 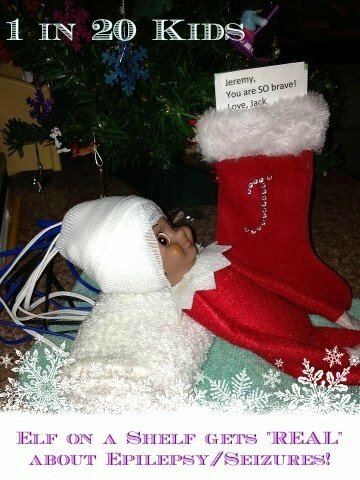 Is your Elf a sensory seeker? 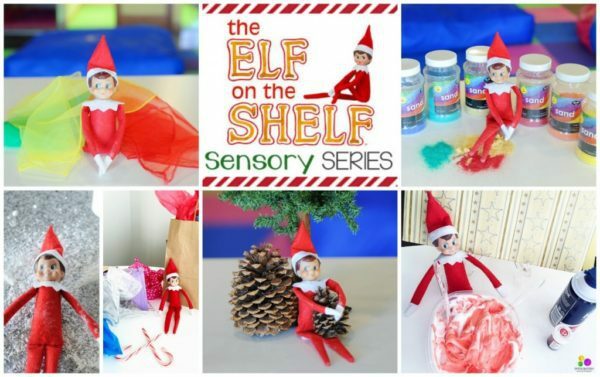 ILS Learning Corner has a whole sensory series for your Elf. Tons of great ideas! How about an Elf who has epilepsy, seizures or other neurological issues? Here is an Elf getting an EEG. 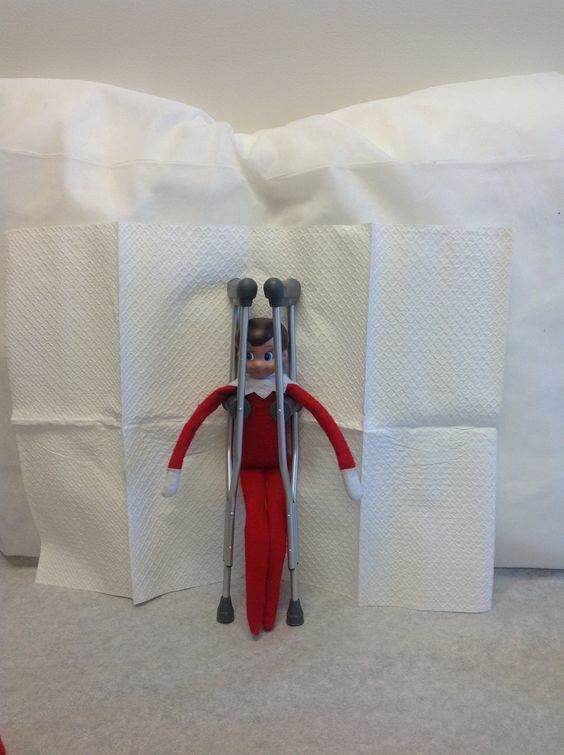 And here is an Elf getting an MRI. 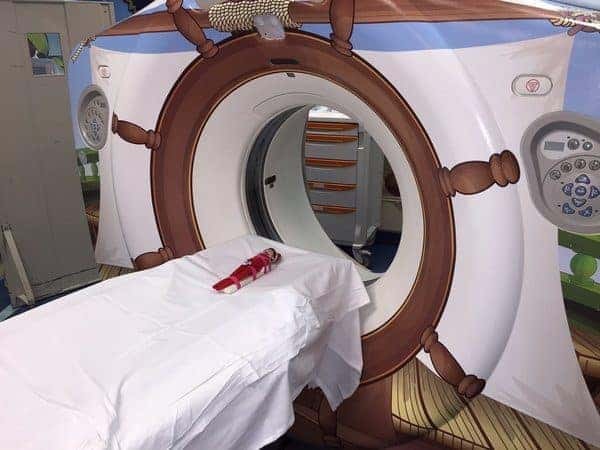 I’m trying to think of what I could use at home to mimic an MRI. A tissue box maybe? 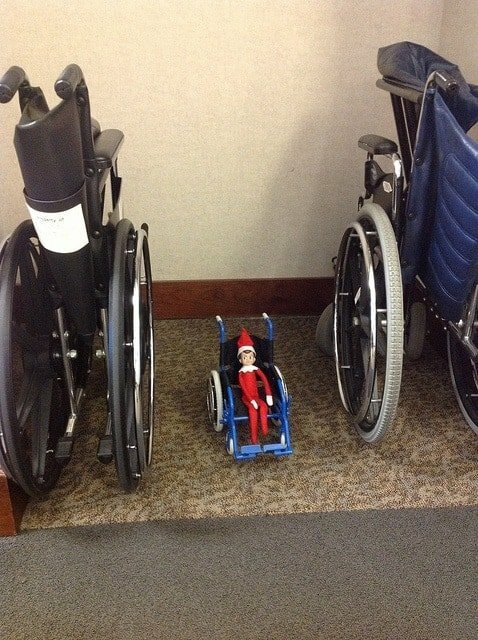 Does your Elf use a wheelchair? There is a blog called Have Wheelchair, will travel and they have a lot of cool wheelchair ideas. You can buy wheelchairs for dolls, so that would work. I also saw makeshift ones made out of Legos, using CDs for wheels, all kinds of creative things. I also have seen crutches and walkers for dolls too. 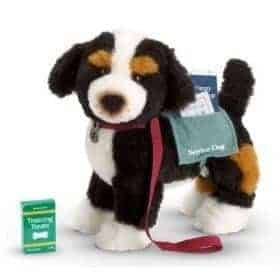 Does you Elf need a service dog? Hey, it happens! 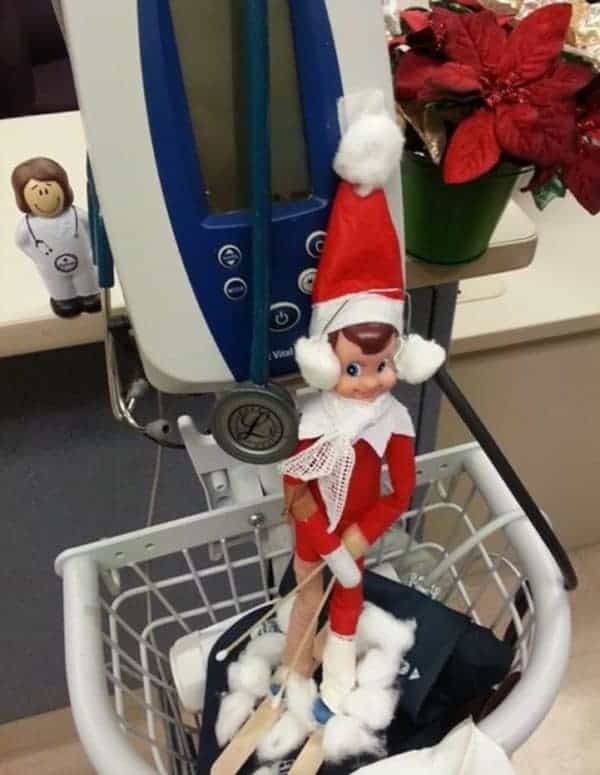 Make your child feel at home if your Elf has to do testing too. Maybe your child is at the doctor or hospital a lot. Which is not funny on any day, but certainly not at the holidays. 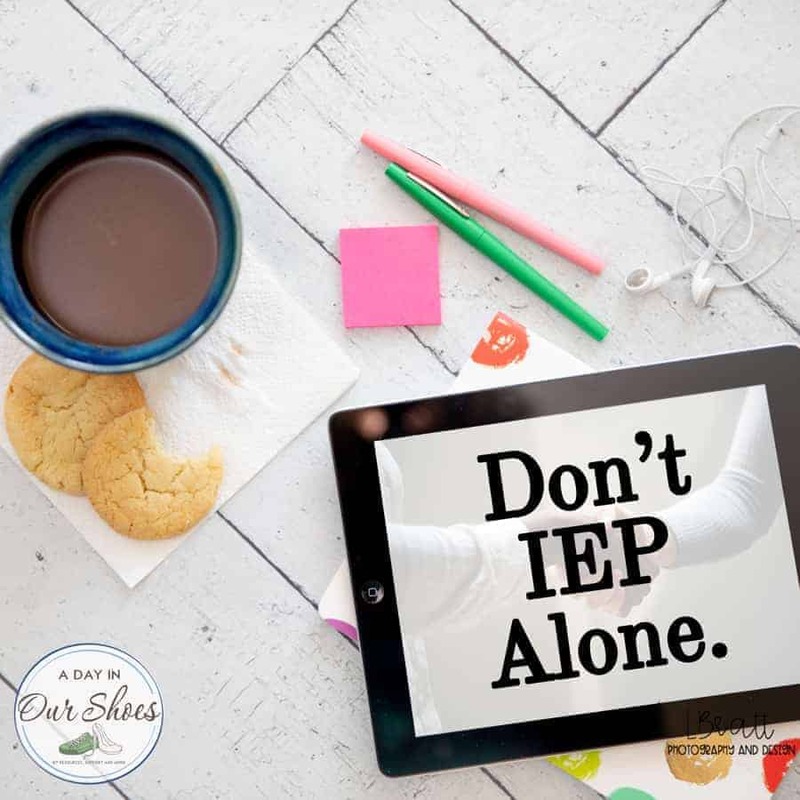 Let them know that they are not alone. 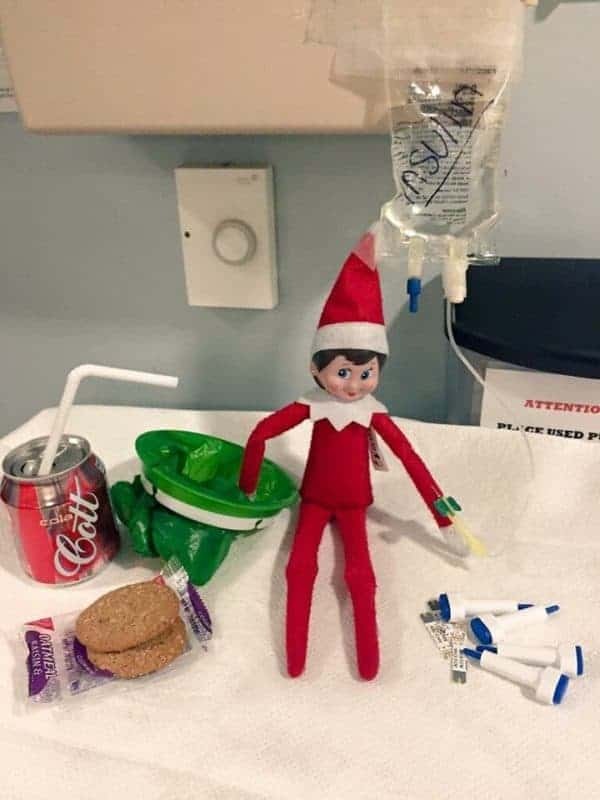 Sometimes Elf has to go to the hospital too. Sometimes he doesn’t always behave in the hospital. 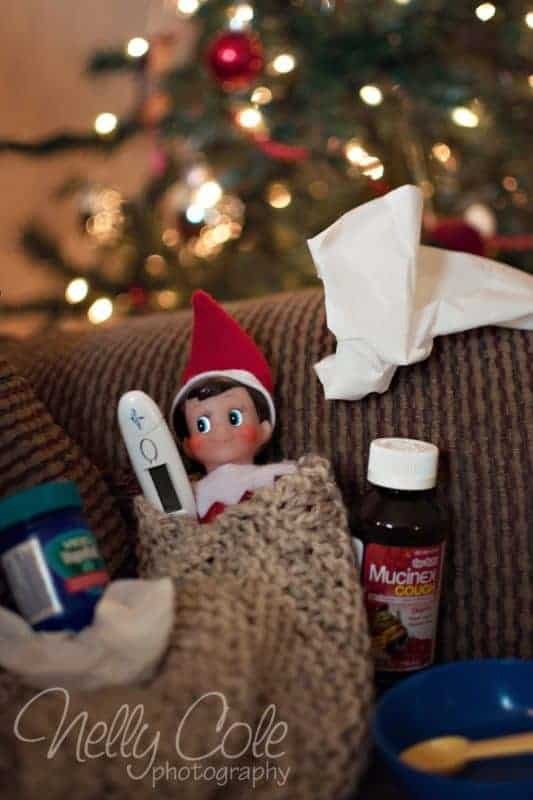 And sometimes Elf gets the flu. Bet he wishes that he got a flu shot! Click image if you want to know more about the photographer. 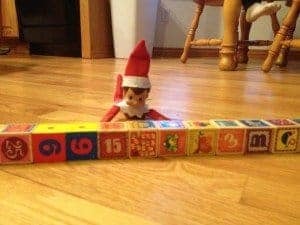 I hope this helps you plan some Elf on the Shelf ideas for your child with autism, special needs or other disabilities.